Launched in 2000, the JAMA Heritage Hall of Fame Award is a special honor given to individuals who have made significant contribution to the success of manufacturing in south-central Michigan and to the region's overall economic growth and betterment. This year's inductees were Paul and Dorothy Dawson, founders of Dawson Food Products. "In 1954, Paul and Dorothy Dawson launched out of their kitchen a small, family-owned supplier of batter and breading products," Rayl said. "Over the next fifteen years, the couple grew the business through an unswerving commitment to produce top-quality products at reasonable prices while serving each valued customer one at a time as if they were the company's only customer. The core values and philosophy that makes Dawson Food Products successful today are the same foundation on which Paul and Dorothy Dawson first built the company." P.J. Dawson, grandson of Paul and Dorothy and current president of Dawson Food Products, accepted the award on behalf of the company and the Dawson family. Past inductees into JAMA's Heritage Hall of Fame have included "Captain" William Sparks (co-founder of the Sparks-Withington Company), Peter Hurst (founder of Aeroquip Corporation), Harry Melling (Melling Tool), F.P. Miller (founder of F.P. 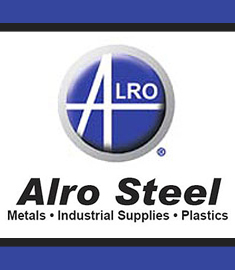 Miller Co.), Al Glick (co-founder of Alro Steel), Alidor Lefere (founder of Lefere Forge), Marlin Jones (Dawn Food Products), Camiel Thorrez (Thorrez Industries), Bob LaZebnik (Airmaster Fan), Bernard Levy (Industrial Steel Treating) and Carl Linenfelser (founder of Brooklyn Products). For additional information or press inquiries about Dawson Food Products, Inc., contact P.J. Dawson at (517) 788-9830 or visit www.dawsonfoods.com. The Jackson Area Manufacturers Association (JAMA) is a non-profit professional organization that has been serving the manufacturing community since 1937. JAMA is a member entity of The Enterprise Group (www.enterprisegroup.org), the economic development umbrella organization for Jackson County, Michigan. JAMA’s educational arm, the Academy for Manufacturing Careers, is one of only 70 certified Registered Apprenticeship Programs designated nationwide by the U.S. Dept. of Labor as a 21st Century Apprenticeship Innovator and Trailblazer. The Academy is a licensed Proprietary School with the State of Michigan and a Michigan Regional Skills Alliance. For more information about JAMA, please visit www.jacksonjama.org or contact Bill Rayl by phone at (517) 782-8268 or via e-mail at brayl@enterprisegroup.org. For more information on the Academy for Manufacturing Careers, visit its website at www.academy4mfgcareers.org or contact Annette Norris at 517-782-8269 or anorris@enterprisegroup.org.